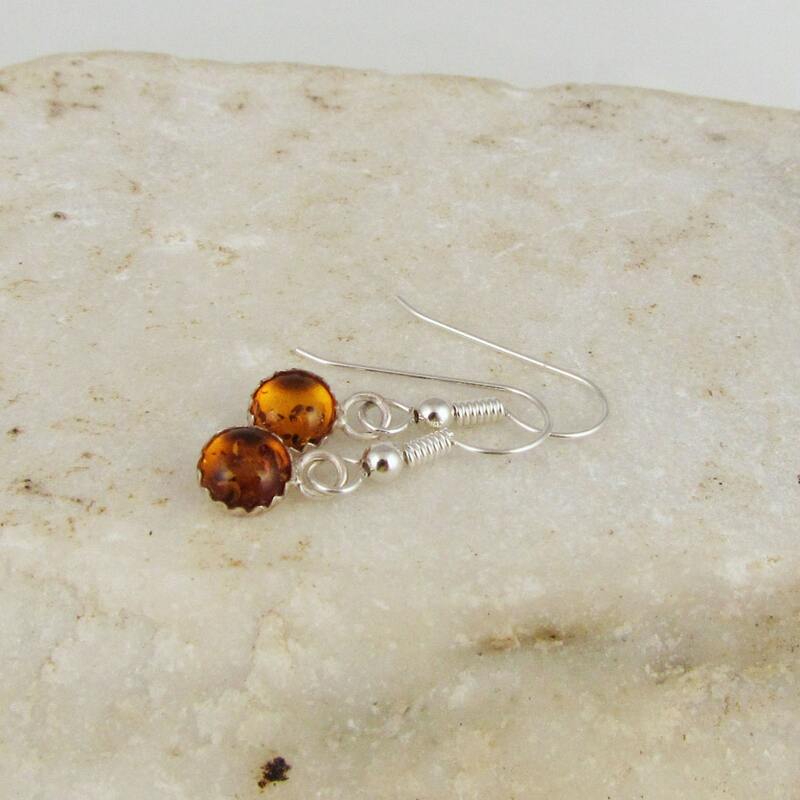 Silver Earrings -Baltic Amber- Dangle Earrings -Statement Earrings-Boho Earrings-Drop Earrings-Amber Earrings: These stunning sterling silver dangle earrings feature two natural Baltic Honey Amber stones. 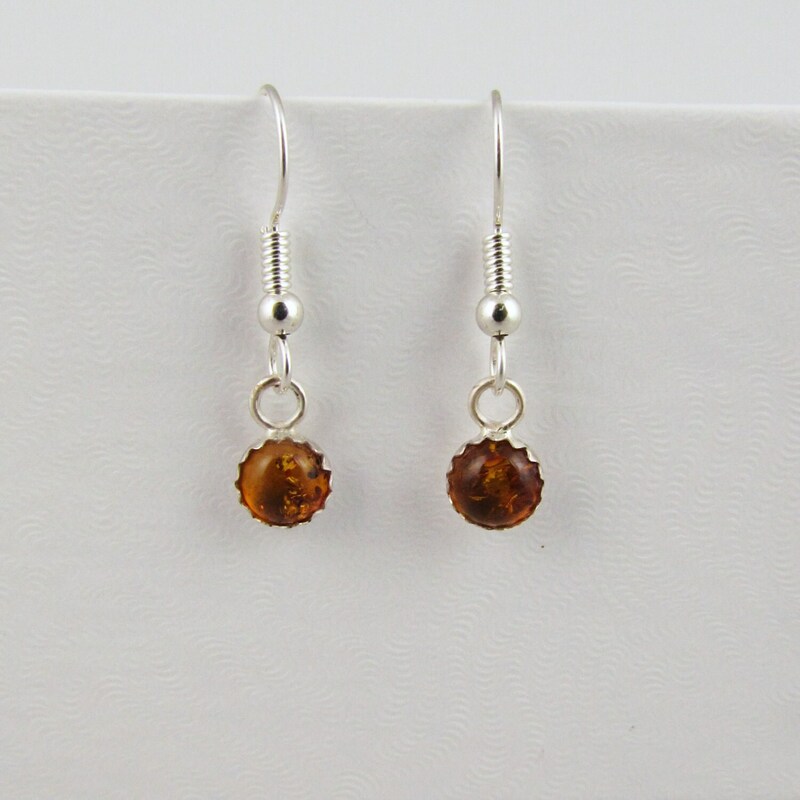 The Amber stones are both 6mm (1/4")in diameter. 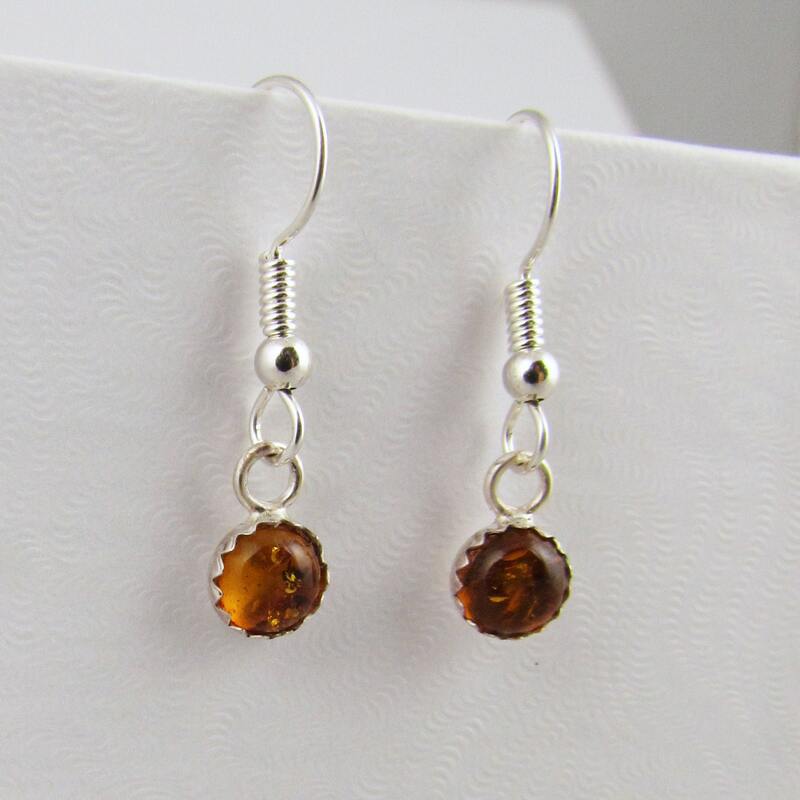 The stones have a fantastic dark honey color with many small inclusions! The color is of the amber is warm and compliments any hair color. 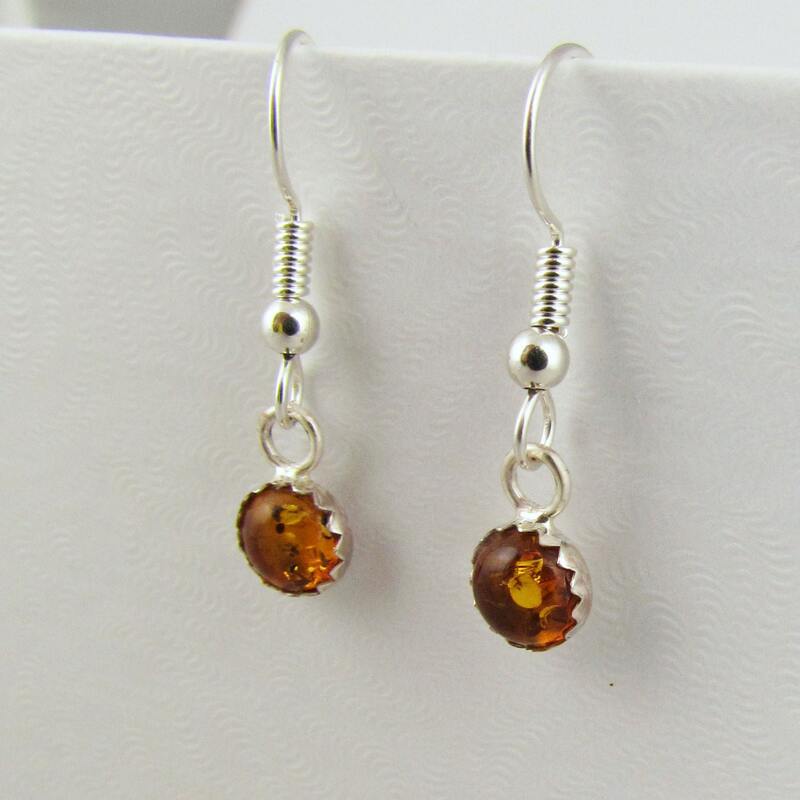 The silver setting with the small bead accent the amber color perfectly. These are a quality pair of earrings that will make an excellent present, especially when paired with one of our pendants! 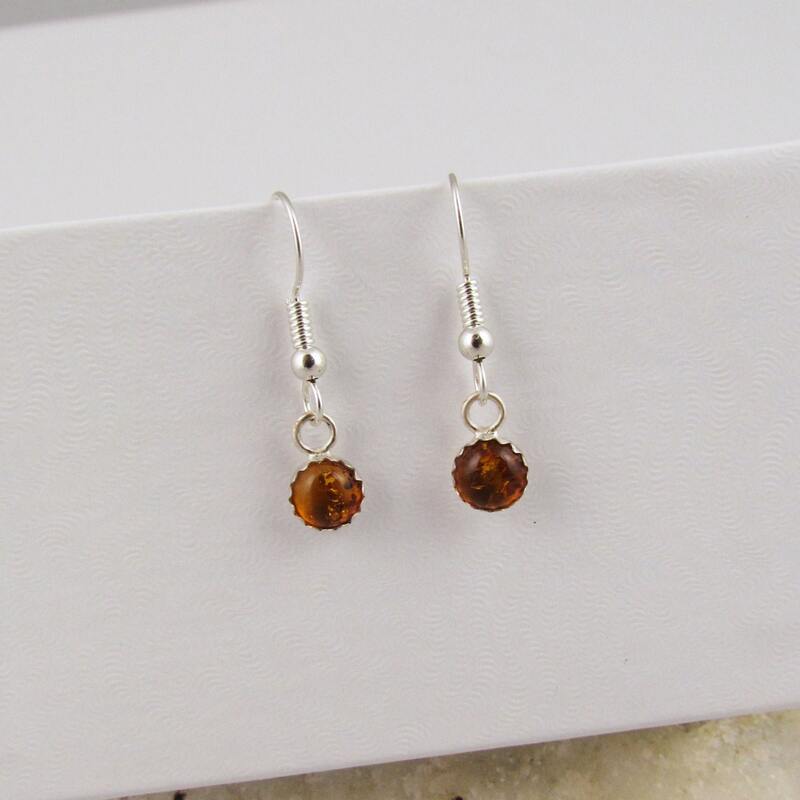 As with all our earrings, your purchase will arrive in an elegant gift box for no extra charge!